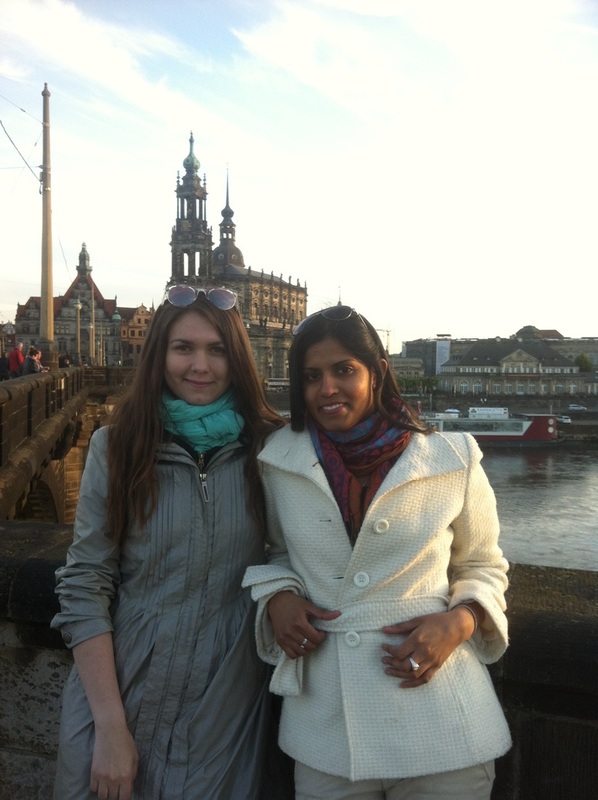 It was Juwenalia break Thursday 14th – I and Anya started to Dresden by car. 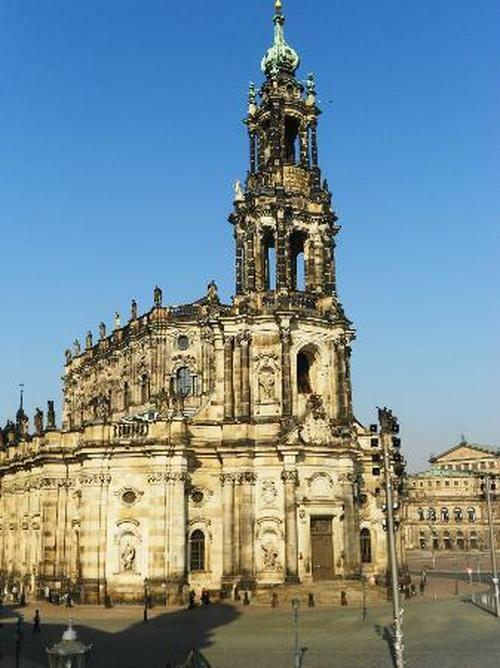 Dresden is the capital of the German state of Saxony. 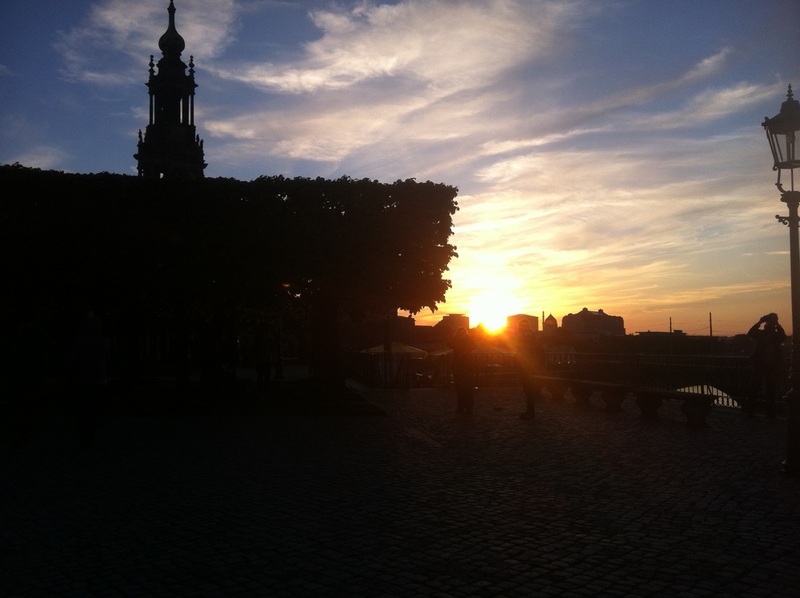 Its historic core, mostly dating back to the 18th century, is divided into two by the River Elbe. The grand churches and museums of the Altstadt on the south bank, the elegant streets and shops of the Neustadt on the north side. Anya wanted to explore the city! 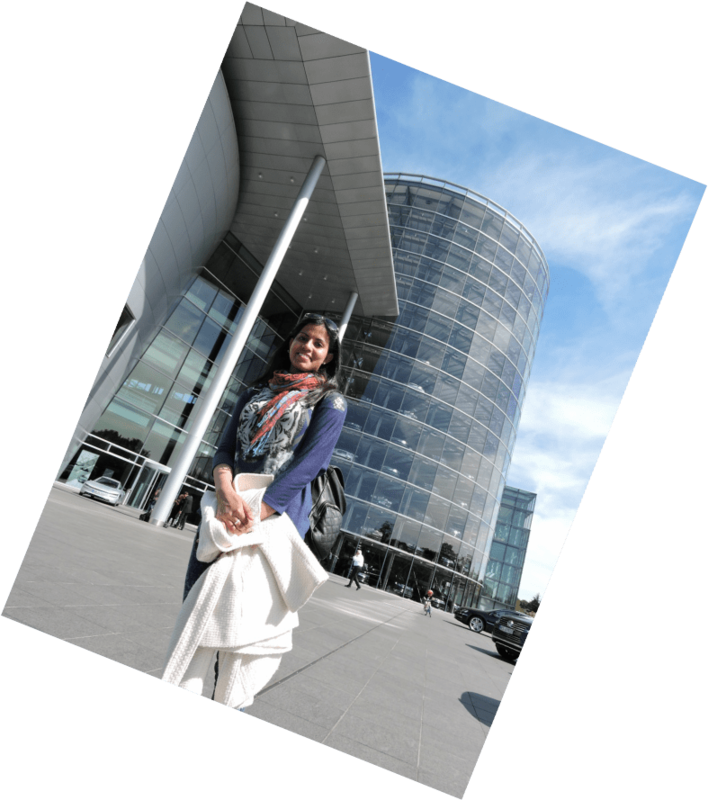 I had no particular expectations of the city. 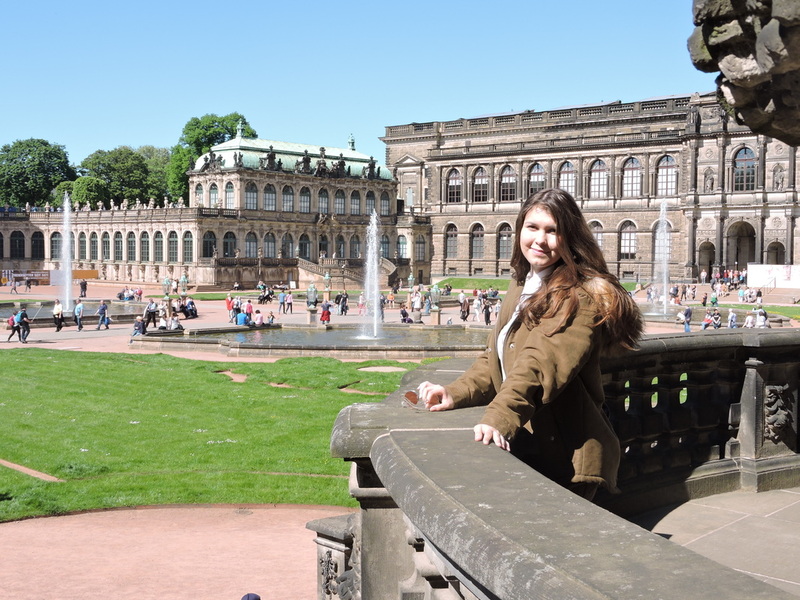 I had been in Dresden many times before. 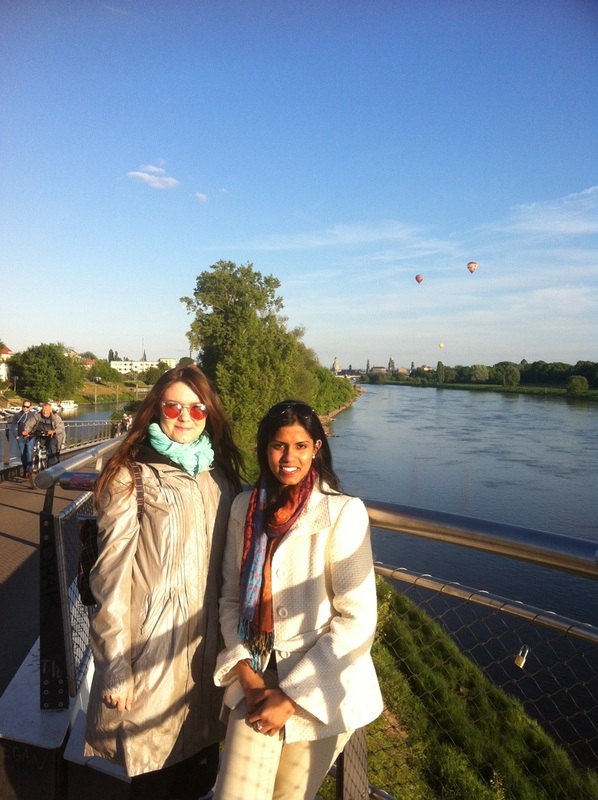 I promised her that even a short excursion to Dresden is well worth your while. I and Annuchka … Started at 9:00 a.m in the morning by car. We used carpooling (blablacar). 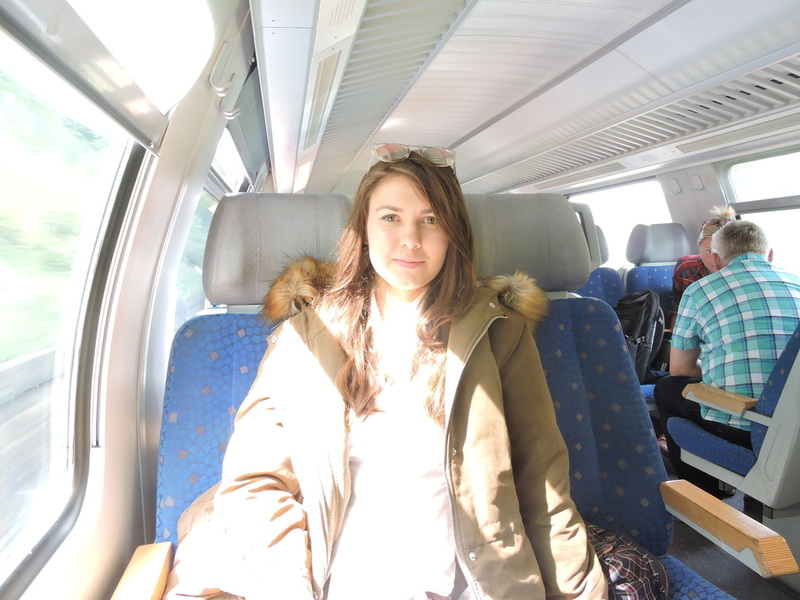 A guy Vitaliy who is traveling from Krakow to Leipzig with his girlfriend (Probably wife). 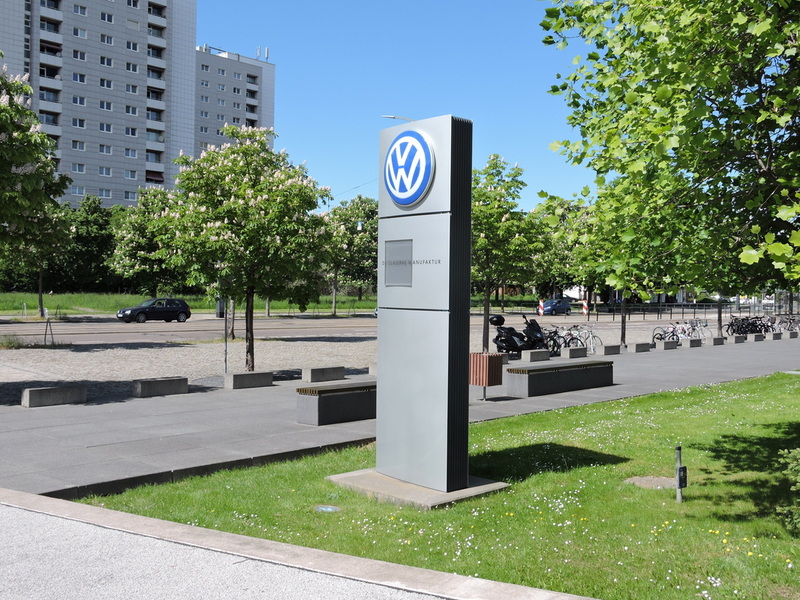 German city has become easier to reach thanks to blablacar and Vitaly. 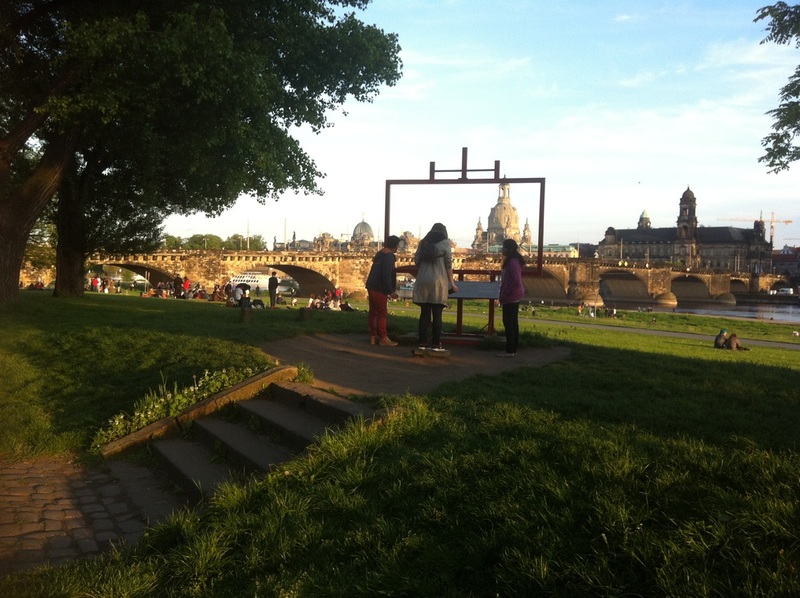 If not for family ties, Dresden would’t have even been a destination of our trip. But we were happy to spend some quality time with Balajji and Anusha (my brother and his wife), and it was nice to be somewhere we could relax and not feel pressured to get out and see the sites (because there aren’t too many of them). 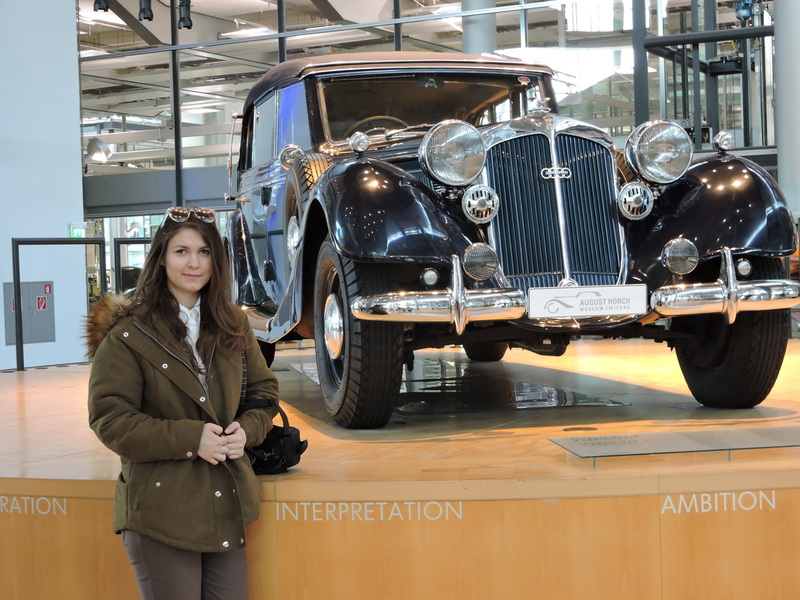 Not to mention, it was interesting to witness a first hand account of the impact of WWII and see a different side of Germany. 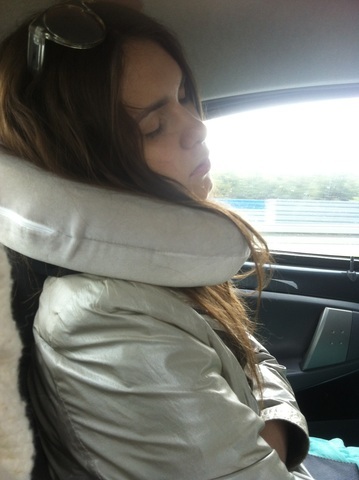 So here Anuchka; taking nap. 😀 She is in a period where she is unaware of surroundings, including the passage of time. Her nap interval is lost to her cognition and awareness. 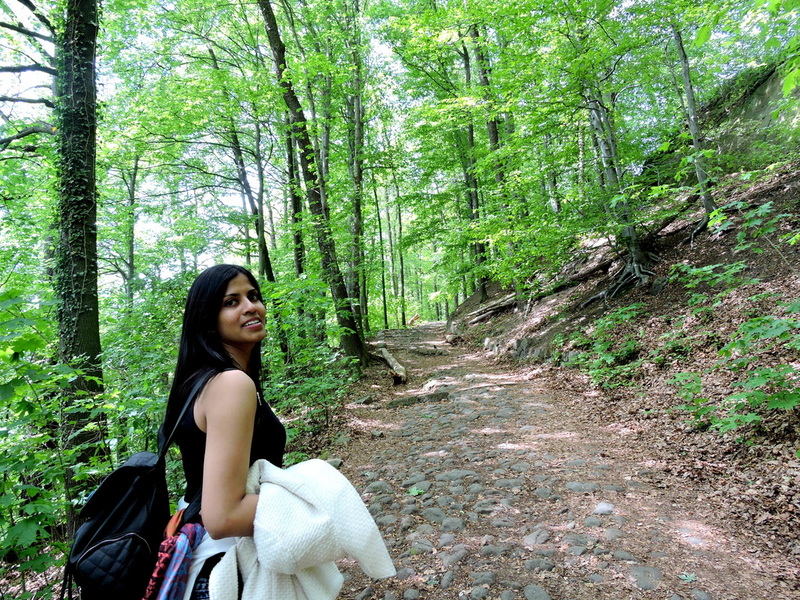 The scenery was spectacular on the way throughout. 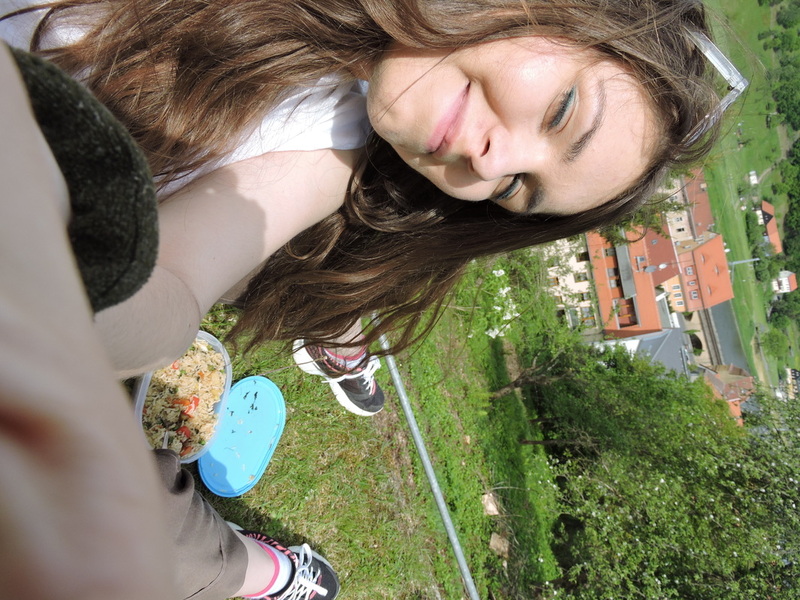 Weather was great. 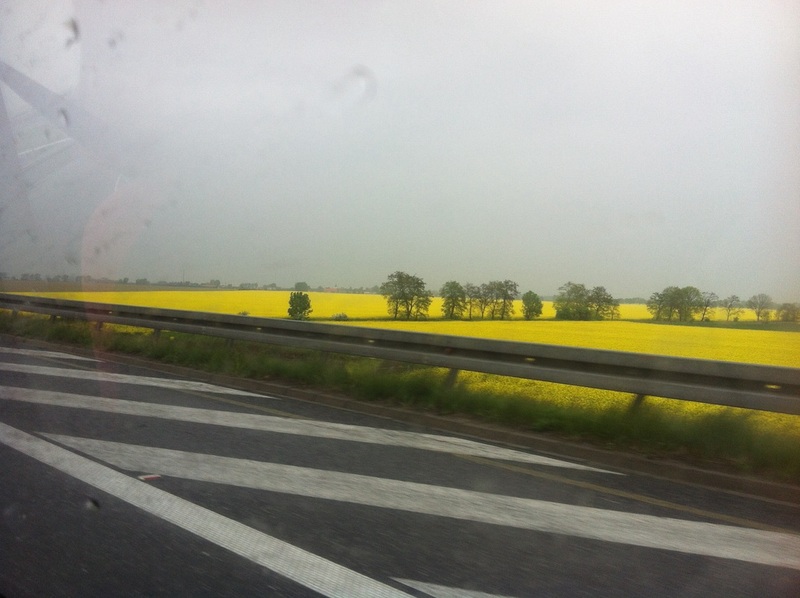 Yellow Green and Yellow .. everywhere! We reached home around 2:45 p.m and had lunch with my brother and Anusha. Slowly in late evening we started to walk. 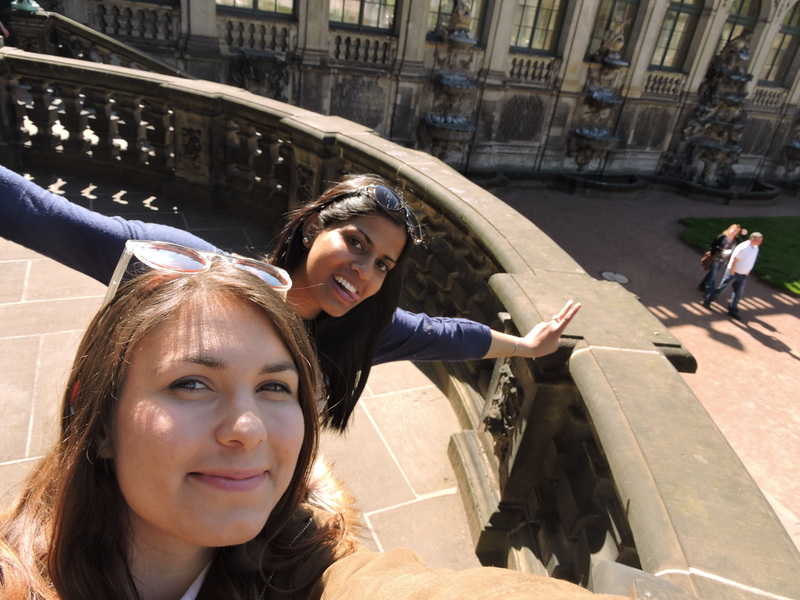 I and Anya was lucky enough that the sun broke through the clouds right as we walked into old Dresden, bathing its palaces and gardens in glorious sunlight, and highlighting the beauty of the city, which literally took my breath away. Water gave me calm and relax feeling. The porcelain panel Procession of Princes. 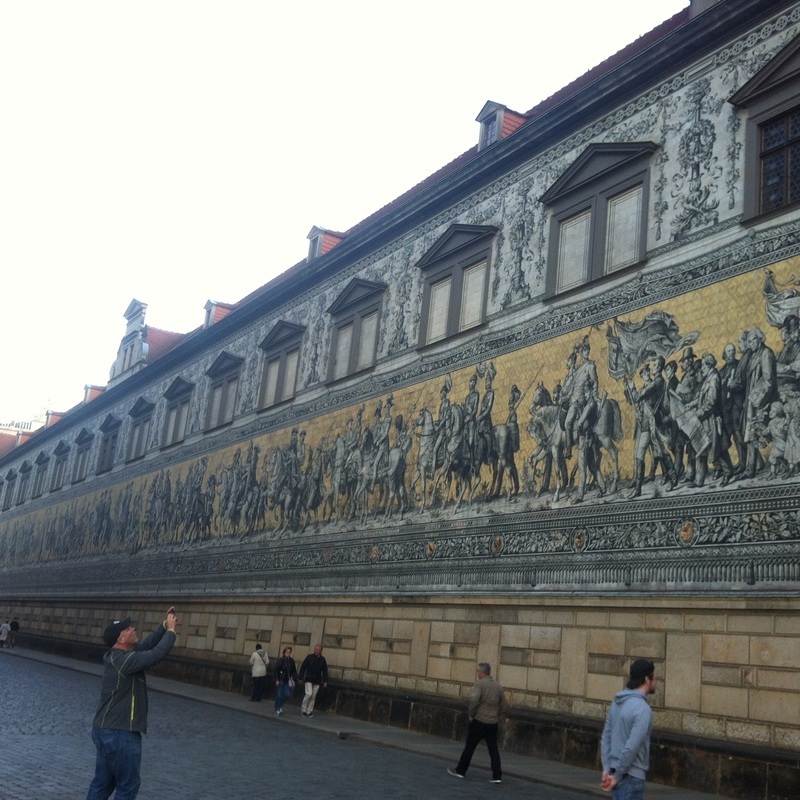 A mural in old Dresden pays homage to the long line of emperors that ruled over Saxony. Thanks to my friend, Prasanth Sathiya who gave me some insight of this painting. The Fürstenzug (English: Procession of Princes) was built in the 16th century and served mainly for tournaments and hunts. 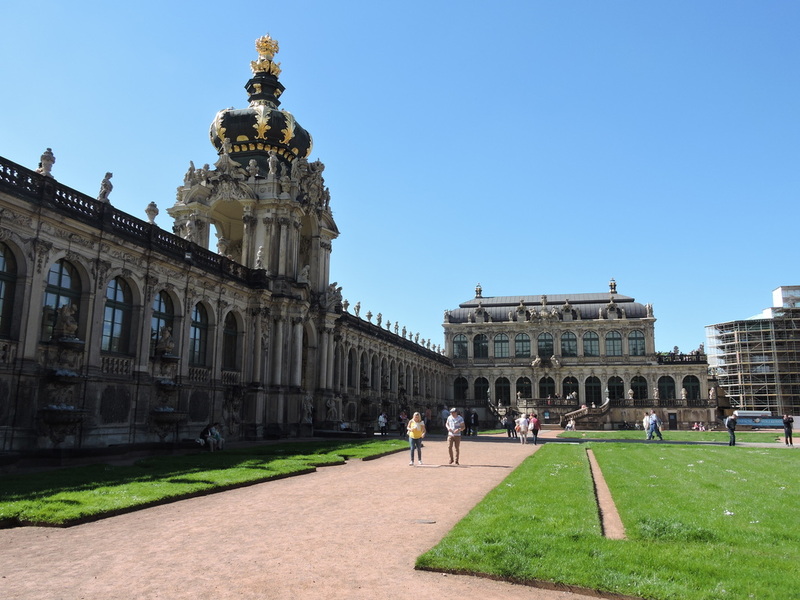 To the left of the palace’s main gate, you will see a big courtyard that earlier was a place for knight turnouts and other courtiers’ entertainment, Stallhof (Stall Courtyard). Today we are interested only in its northern wall with the famous panel of the Procession of the Dukes (or the Procession of Princes). Several centuries, all representative of the Wettin Dynasty, move along the Augustusstrasseon their noble horses. What proud, brave, and beautiful faces. This unique piece of artwork was created in Dresden in 1589. At first, it was made with the help of a very complicated technique,Sgraffito, but after 300 years, the Procession of the Dukes was on the verge of collapse. 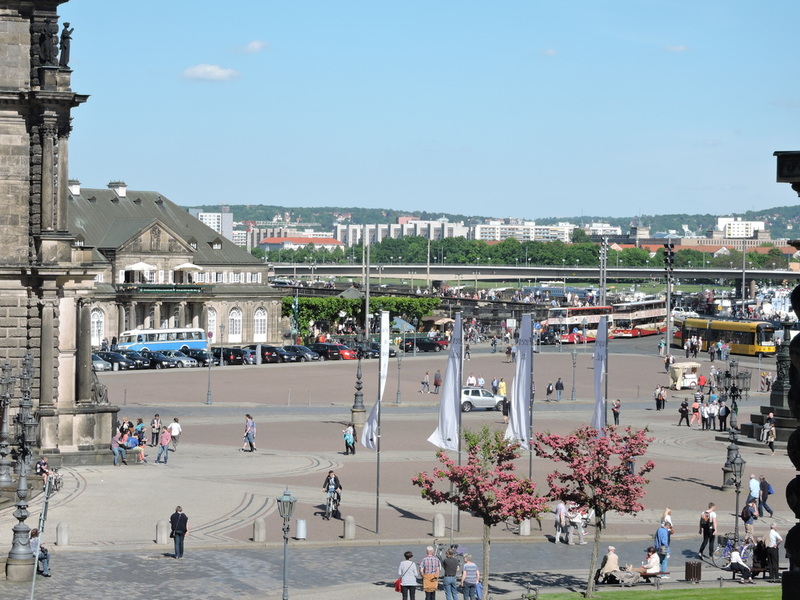 No, not from the bombing of Dresden; the dampness of Elbe River practically destroyed the masterwork. For many years, the panel was under restoration, but the works of the 19th century survived no longer than the original ones. At that time, someone proposed an ingenious solution−to transfer the picture to porcelain tiles. 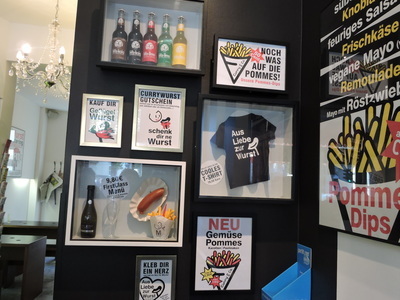 In Meissen, the most famous porcelain factory in Europe, 23,921 tiles were made, and the new great piece of art appeared on the wall of Stallhof in 1907. What is especially interesting is that the Procession of the Dukes survived the awful bombing of Dresden at the end of World War II. Not one plate fell down. To the right of the main gate, you will see the monumental Hofkirche (The Catholic Church of the Royal Court of Saxony). A Catholic cathedral in the very center of Lutheranism in the 16th century? Fantastic? It was so. Like all Wettin, our hero, Kurfürst August, was a protestant, but one day he resolved to be the king of Poland. Why Poland? Poland had an interesting tradition: anyone could offer himself as a candidate for the Polish throne. It was something like an auction, but with one condition: you must be Catholic. Augustus converted to Catholicism. That was a great shock for the Lutherans of Saxony, but everything ended without public unrest. Soon, the people of Saxony felt all the benefits of having a Polish and a Saxon king in one individual. Augustus dreamed of having all the splendor of the Louvre and Versailles in Dresden, and the Polish treasury was most opportune. It was already 8:45 p.m. Sun is setting. A beautiful view from the bridge. We both are not car experts but we really enjoyed this.. The world’s most fuel efficient car to date. 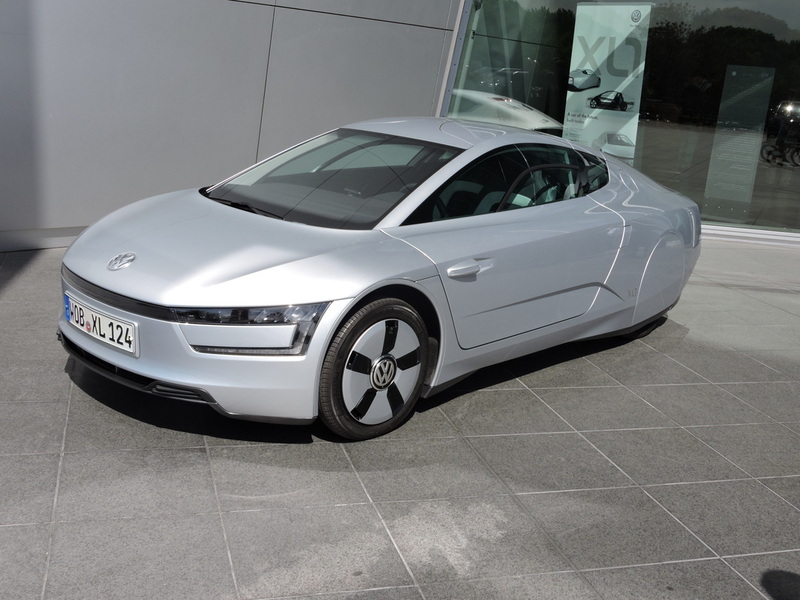 This is achieved by employing an advanced plug-in drivetrain and a light weight construction.This allows XL1 to return 313 mpg( it consumes less than 1 litre of petrol per 100 kms, hence the name XL”1”) on the combined cycle while emitting 24 g/km 0f C02. The combined power output of the compact 800cc TDI two-cylinder common rail diesel engine and the electric motor is 75 PS and the car weighs just 795 kgs.tThe profile of the car has been honed in the wind tunnel has a remarkable co-efficient of drag figure of 0.186 ( an incredible engineering feat). The car uses small cameras installed on the elegant scissor doors instead of ORVM’s to minimise drag. – Source: Prasanth Sathiya. 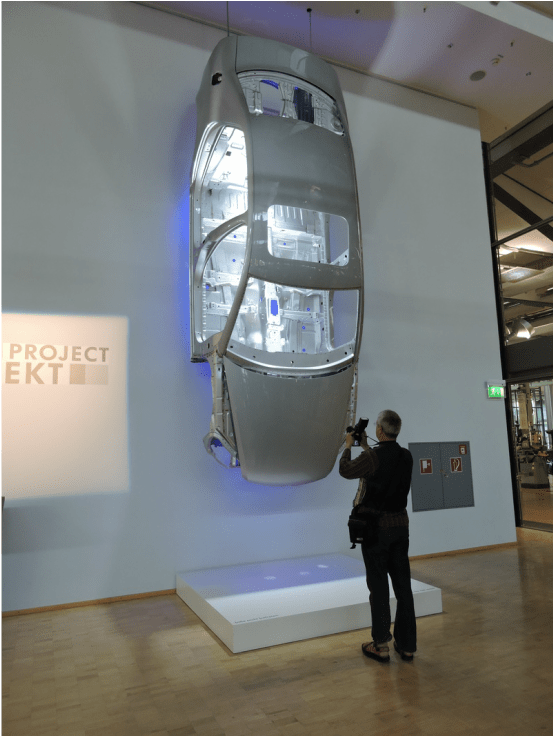 The body shell hanging on the showcases monocoque construction technique employed in the construction of the body shell of the Volkswagen Phaeton. 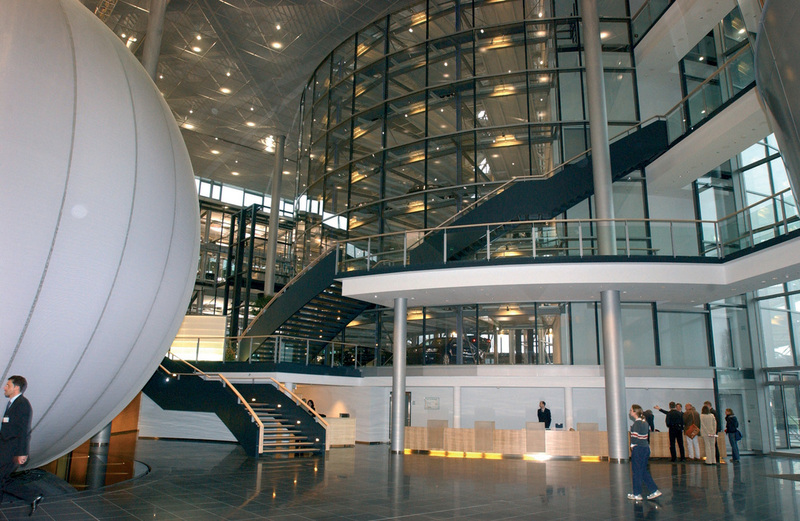 Monocoque, meaning ‘single shell’ in French, is a construction technique that utilities the external skin to support some or most of the load. This is as opposed to using an internal frame or chassis that is then covered with cosmetic body panels.The shell is usually made from a single block of Aluminium of High Strength alloy steel. The structural and torsional rigidity is very high and this helps in delivering better ride quality, drivability and safety. – Source: Prasanth Sathiya. 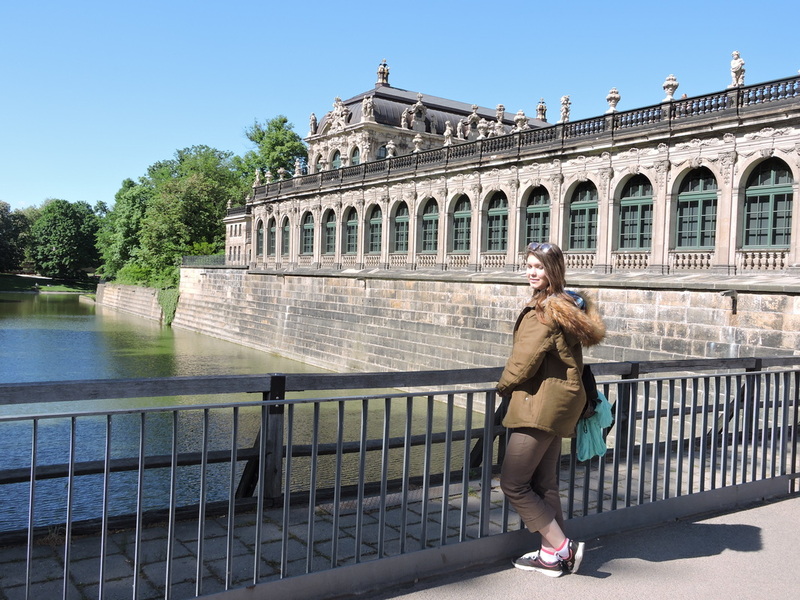 One of the most famous landmarks in Dresden is the Zwinger Palace, opened in 1719. Simply walking around its courtyard gives you a chance to enjoy this spectacular structure, noted for its impressive Rococo style. 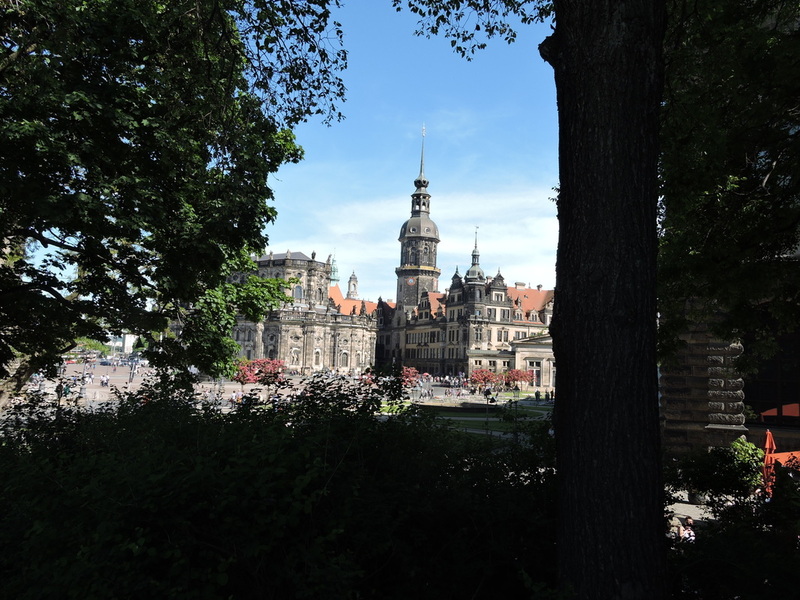 In addition to the fanciful architecture, there are numerous museums including the Old Masters’ picture gallery, the Dresden Porcelain Collection and the Mathematic-Physics Salon. 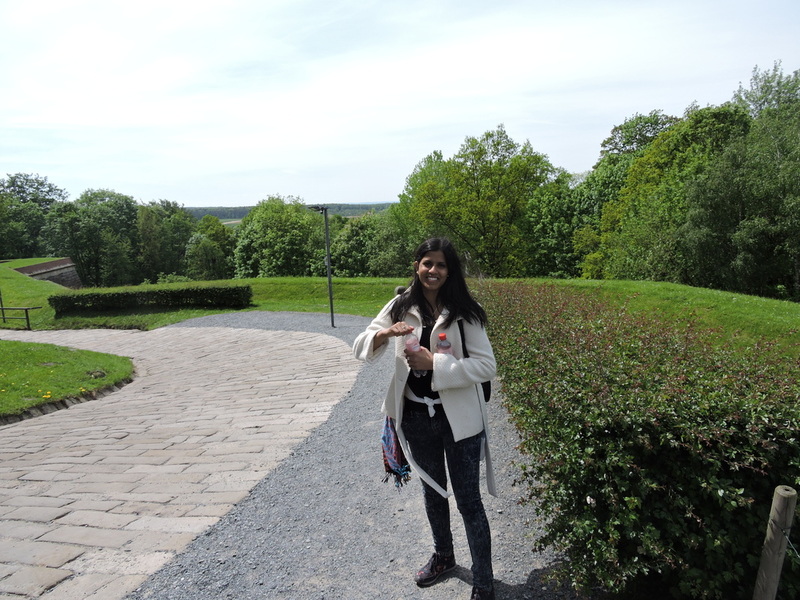 We went to the second level where you can see the gardens in the back and the Nymphenbad fountain. 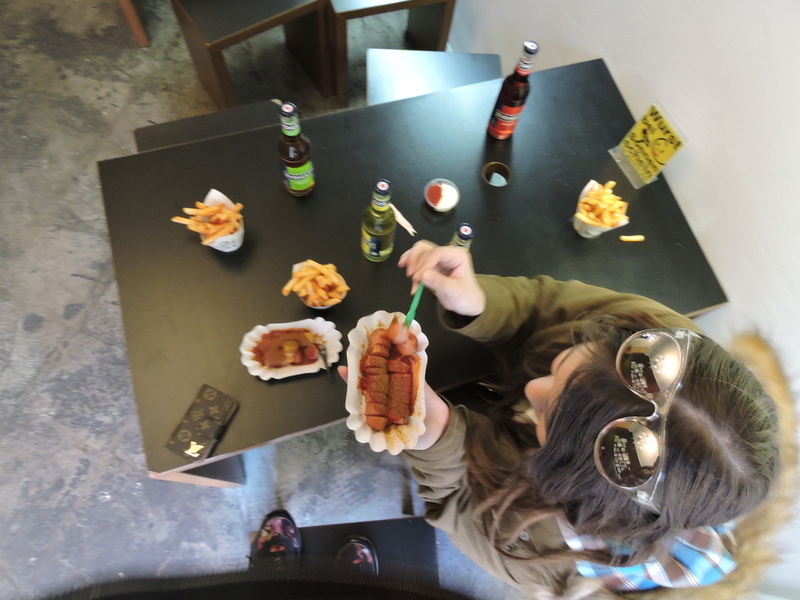 And there we sat down to eat our lunch. Obviously after meal; Lots of carbohydrates. 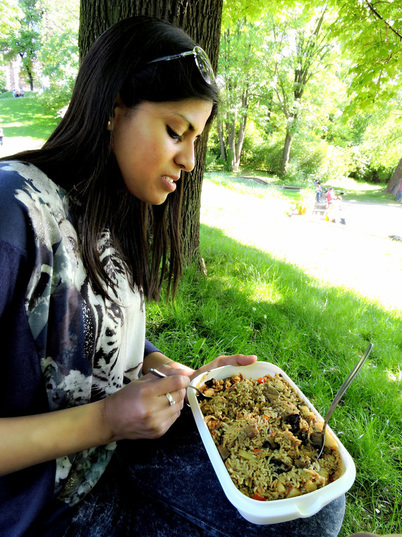 (It was mushroom biriyani! ) we were tired. Probably our body is busy fighting of the germs. 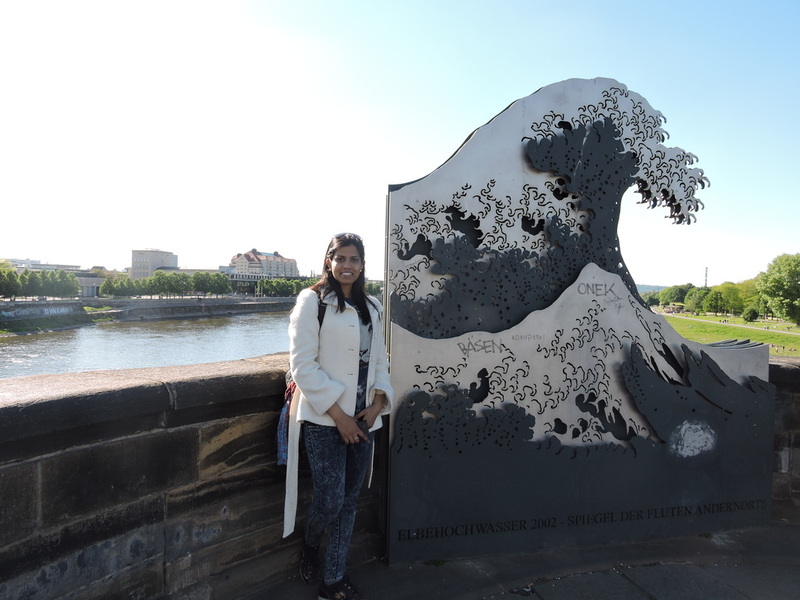 Wave sculpture to commemorate the 2002 Floods, Augustus Bridge, Dresden. 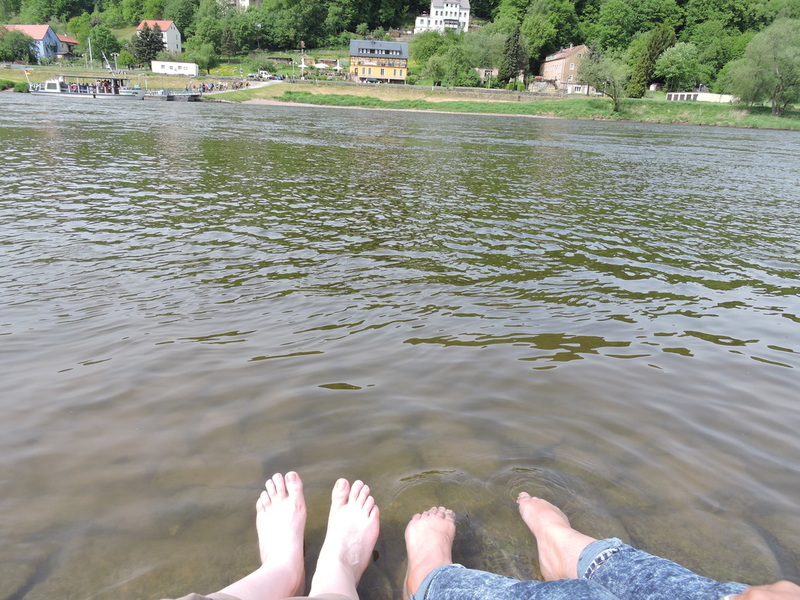 The Elbe hit 28 feet, 9 inches around midday – well above its regular level of 6 1/2 feet. Still, that was not high enough to damage the city’s famous opera, cathedral and other buildings in its historic city centre, which was devastated in a flood in 2002. 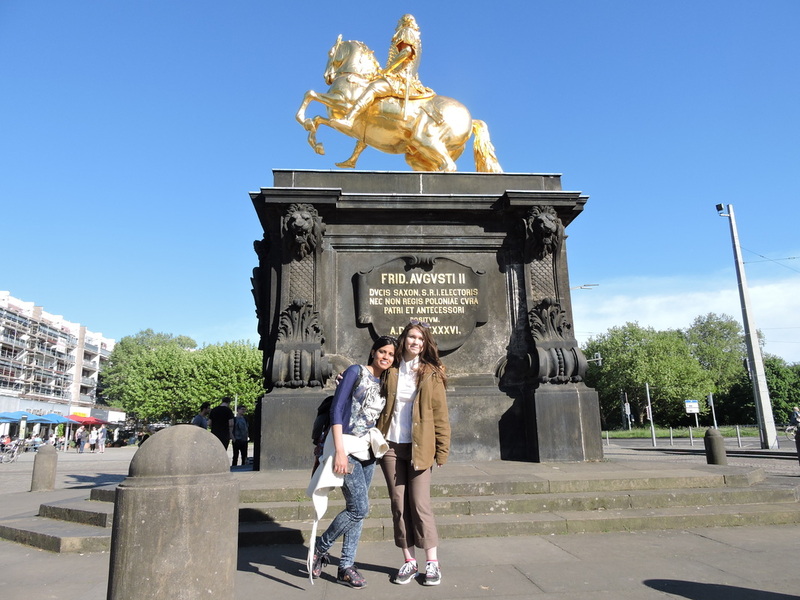 As we walk towards Neustadt (the “new city”) and out of Dresden’s historical center, one of the first sights you see is a solid gold statue of a man on a horse. This is Augustus, My brother long back advised me, perhaps the most arrogant of the Saxon emperors who ruled over the Kingdom, which had its capital in Dresden. 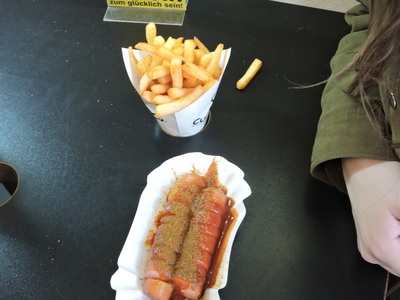 Currywurst is a fast food dish of German origin consisting of steamed, then fried pork sausage. Or soya (For vegetarian) whole or less often cut into slices and seasoned with curry ketchup, a sauce based on spiced ketchup or tomato paste, itself topped with curry powder, or a ready-made ketchup seasoned with curry and other spices. 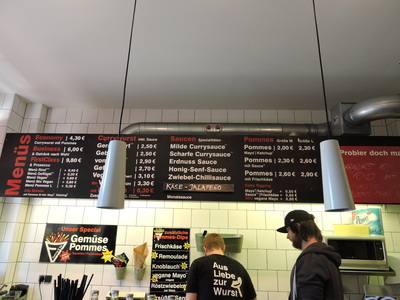 The dish is often served with French fries. We ate and talked late into the night, watch movie.. and then it was time for bed because we had another big list of stuff to see the next day. 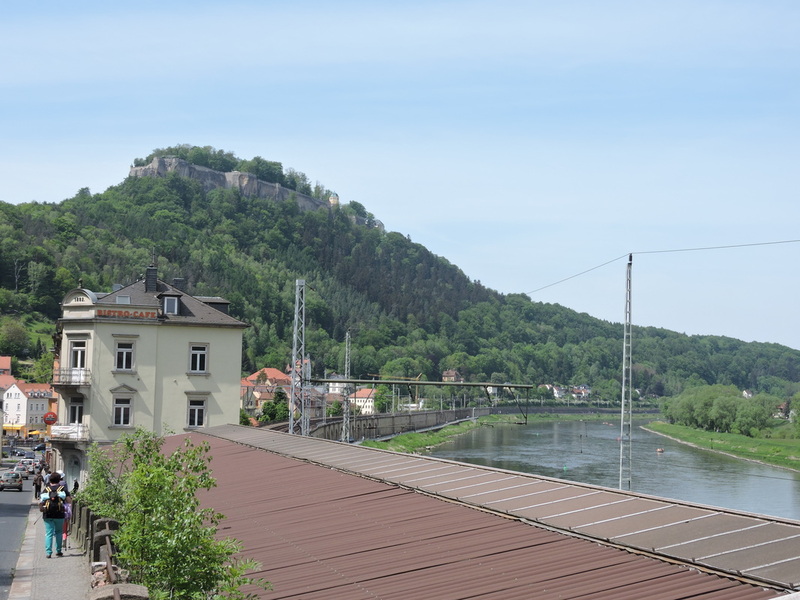 After another late night, I and Anya were up earlyish again, had the usual breakfast, and then headed off towards Festung Königstein by train around 11:20. 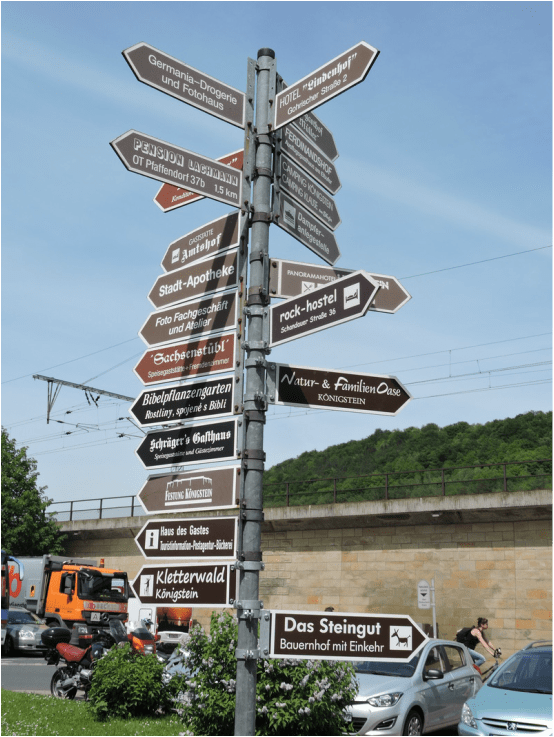 Königstein Fortress can easily be visited in a day trip from Dresden. 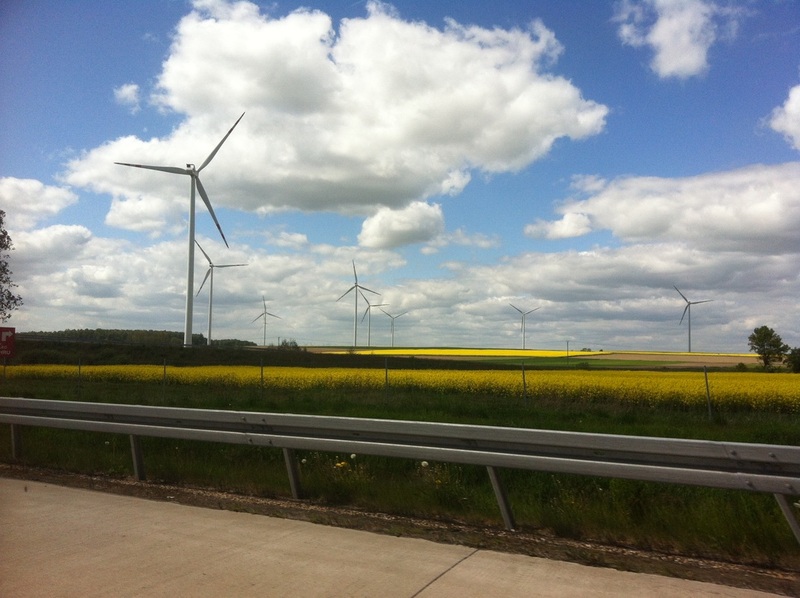 It is quite a ways southeast of Dresden, towards the Czech Republic, and affords awesome views of Sächsische Schweiz, and the Elbe River, plus a distant hazy view of both the Czech Republic and of Dresden. The fortress itself is up high, huge, built into a giant rock, and as far as I can tell, completely unassailable except by a single road. Nevertheless, it is pretty impressive. Towering majestically over the Elbe Valley and the Saxon Switzerland landscape and rising 240 meters above the river, the 24 acres rock plateau offers stunning views that rival with the famous Balcony of Europe. We walked around the whole fortress and looked at pretty much everything. Königstein looks like the traditional old fortress/castle. There is a small museum that documents the well that was built there and which allegedly, is one of the deepest in Europe. 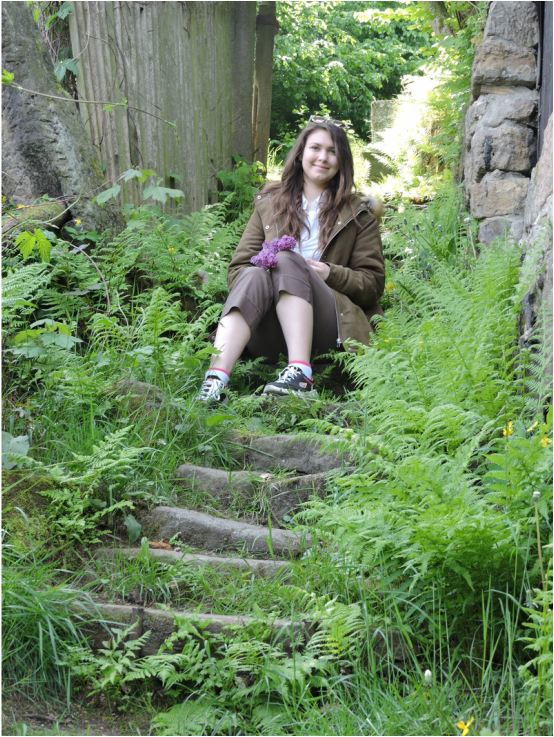 HISTORY: About the castle in top of mountain. 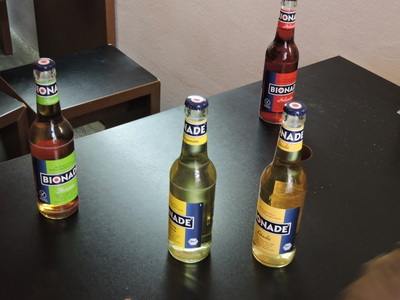 It started in the early 13th century as a medieval castle belonging to the Bohemian kingdom. In the 1400s the castle fell into the hands of the Saxon rulers and was later transformed into a monastery. 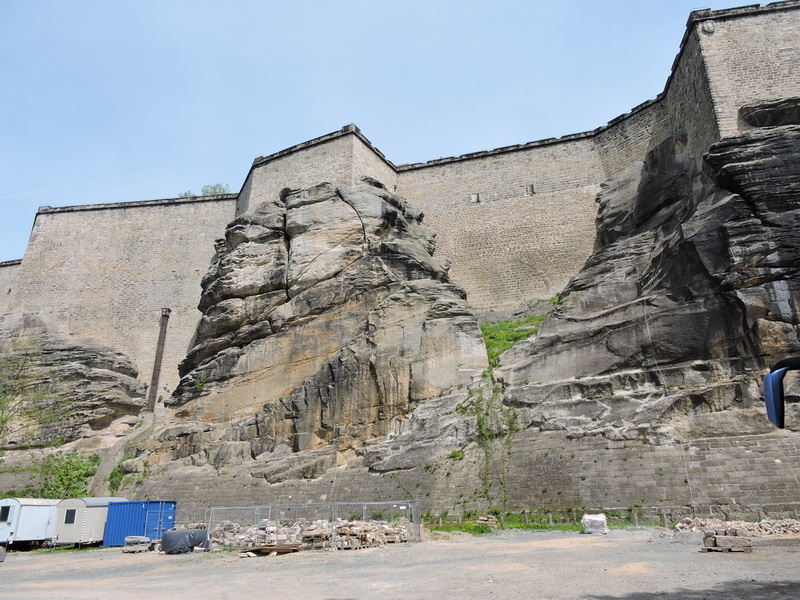 In the mid 1500s by the order of Augustus, Elector of Saxony, a deep well (152 m) was drilled through solid rock on the site creating an important condition for the construction of a fortress. The conversion of the castle into a fortress was done in 1589 by Elector Christian I, who continually improved the old armory and the fortress’s defense. Due to its strategic position no enemy ever attacked the fortress, making it a sure retreat for the Saxon rulers who often fled behind its thick walls during times of crisis. Top.. ! like 45 minutes climbing! After few minutes spending on top. 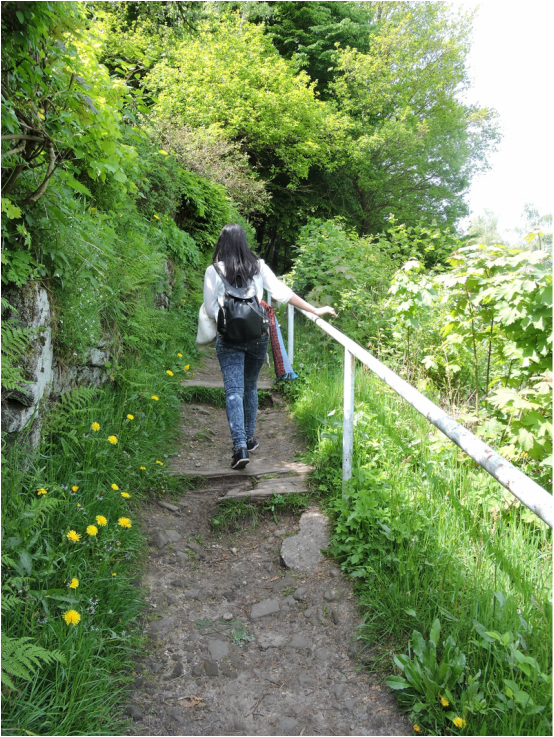 We started to climb down. On the way back.. We had our Lunch. Vegetable fried rice Balaji Thanks. Fully satisfied 🙂 End of our Juwenalia. After first few paragraphs rather reading I have seen post, beautiful pics! Awesome excursion. Great account and pictures. Beautifully written and clicked. Previous Previous post: Worst day ever?